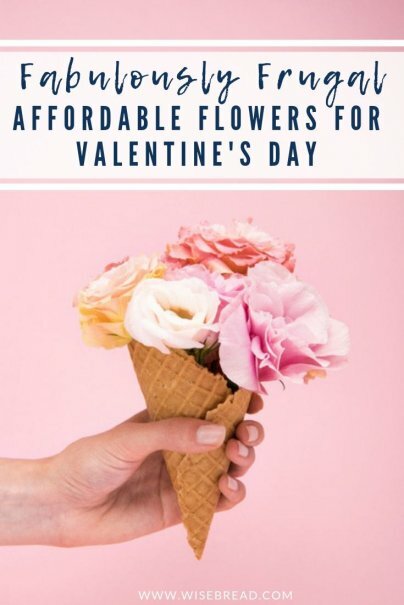 If you need to save some serious money this Valentine's Day, then you actually need to avoid the pre-made arrangements at your local grocery store (or online!). Florists are ready weeks ahead of time with pre-made floral arrangements for Valentine's Day, the cost of which can run the gamut from reasonable to bank-breaking. If you can afford a professional florist, by all means, splurge on a bouquet that will knock the socks off your lover. But if you really need to watch your wallet, don't buy the big bouquets that are specifically created for this Hallmark holiday. Nine times out of ten, the price is more than triple what it would be on any other holiday, and you end up paying for a lot of fill, like ferns and other greenery that may not be that attractive. Instead, buy a bunch of flowers that isn't already arranged, and do the arranging yourself. Here's how. Some flowers have been so misused over the years that people have an almost innate aversion to using them — the problem is that these flowers are some of the nicest and most affordable: alstroemeria and carnations. "People have a knee-jerk reaction to alstros and carnations because of how they have been used in the past," says Miles Johnson, owner of Fiori Floral Design, Lavender & Vine Florists, and R. David Adams Flowers in Seattle. "But if they are used on their own, without other flowers, the effect can be striking. Pick up two bunches of alstroemeria, place in a vase with some lily grass, and you will have a beautiful arrangement that will last a long time." Carnations have typically been seen as a cheap alternative to "real" flowers, like roses, but carnations have two very important qualities, besides the low price: scent and longevity. "Carnations should almost never be used with other flowers," explains Johnson, "unless they are providing a particular pop of color or texture that only they can provide, such as a deep, dark purple in a pavé arrangement. Carnations look great massed together as a single flower in a bouquet. Cut the stems short and tuck them in together closely." Choose a shorter vase or jar to accentuate the compact feeling. Other flowers that are often overlooked on Valentine's Day? 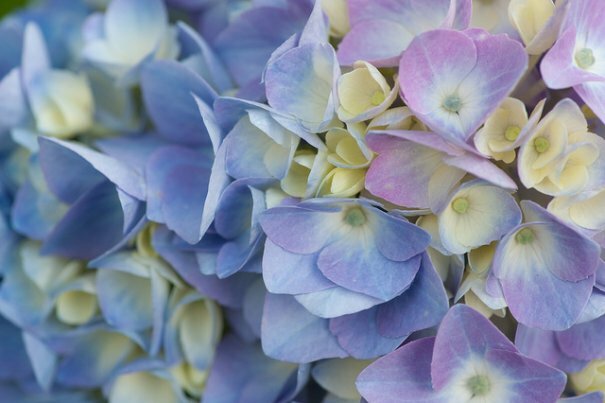 Hydrangeas, which come in dazzling colors, last for a long time, and can stand alone in a vase or add fullness to a bigger bouquet. If your loved one enjoys the scent of flowers, then look no further than stargazer lilies. They can be more expensive than other bouquets (you might pay $12 for a sprig), but the heady, spicy scent is worth every penny. Buy two sprigs and skip the filler — keep the bouquet simple and fragrant. While roses are very pretty, skip the long-stem red roses and choose a bunch of "spray roses" — they come in a variety of shades, with many dozens of blooms, and are often half the price of the Valentine's Day rose selections. Sure, the stems are shorter and the blooms are smaller, but they are also more interesting and varied than your standard bouquet rose. Spray roses — $20 for over 100 blooms! Roses are such a symbol of Valentine's Day that they've pretty much become a cliche. But what if your significant other isn't into the norm? Look beyond the standard offerings and consider something more unusual. Thistles come in lovely shades of green, blue, and purple, and are increasingly easy to find in floral departments at major grocery stores — a couple of sprigs shouldn't cost more than $11. Is your love a bit prickly? Get him or her a potted cactus instead of cut flowers. If your darling has a green thumb, then a beautiful orchid might be just the thing. Does your honey spend more time in the kitchen than in the garden? Buy bunches of organic herbs at your grocery store, tie together with twine, and place in a simple mason jar with a little water — a fragrant bouquet of edible herbs. A spray of eucalyptus might appeal more to those Earth-y types than regular flowers. Never buy a vase at the same place you buy your flowers, unless you find an incredible steal. The vases sold at floral shops and grocery store floral departments are usually poorly made, incredibly expensive, or both. Instead, use a vase that you already have at home, or find a cool-looking alternative. Miles Johnson recommends mason jars, milk glass vases, and unusually shaped vases like glass cubes. Check out vintage and thrift stores like Goodwill for old-fashioned and unusual glasses, vases, and teacups, or go to large discount retailers like Target and Walmart for more modern and exotic vessels. Florists employ a bevy of tools to create their beautiful bouquets, but Miles Johnson says that beginners only need a sharp knife, floral tape, and some flower food. "Knives are always better for cutting flowers because they don't compress the capillaries the way clippers or scissors will, so the flowers will last longer," says Johnson. Floral tape can be replaced with Scotch tape in a pinch. Fill your vase halfway with clean, cold water, and add the flower food (this should be provided to you when you buy your flowers — if not, ask for a packet or two). Mix until dissolved. Remove any leaves that would be submersed in water — the leaves decay quickly and make the arrangement die faster. Using the tape, create a grid across the top of the vase, so that stems can be inserted in the gaps in between. The grid allows you to position blooms in a symmetrical manner. It's also easier on the stems than using floral foam. Although a simple cluster of one or two types of flowers is generally enough, if you are feeling creative, you can certainly bulk up an arrangement with a few floral accessories. Wrap wire around base of pine cone and create a wire "stem" so that the pine cone can be set securely among the flowers. Similar to the pine cone, create a "stem" using some wire and insert glass Christmas ornaments (gold or pink) among bright pink blooms. Curly willow and blooming branches like witch hazel make beautiful additions to floral bouquets and also provide dimensional interest. You don't have to buy branches — you can get them from your own yard or neighborhood. Well, it IS Valentine's Day, after all. Cut out several sets of paper hearts from whatever paper or spare material you have (newspaper makes some pretty hearts), and glue to both sides of the top of a wooden stir stick (the kind you use for coffee). Place throughout your bouquet. Should You Buy Locally Grown Flowers? Attempting to purchase flowers that are grown locally is admirable — it cuts down on your carbon footprint, because the majority of flowers available in the U.S. come from Central and South America. Those regions have hot weather and longer growing seasons, to say nothing of incredibly cheap labor. This makes it tough for U.S.-grown flowers to compete on price. Miles Johnson recommends buying local flowers in the late spring and summer, when the cost difference drops significantly. If you really want to pull together a bouquet of locally grown flowers for Valentine's Day, your options are limited (unless you live in more tropical climes yourself). In some areas, tulips are an inexpensive option, as bulb flowers are the first to hit the market. They'll probably be grown in a hothouse, but they might not travel as far. Are you a flower-arranging maniac? Have any tips on how to put together a great, inexpensive bouquet on Valentine's Day (or any day)? Tell us about it in the comments! You can even guide for the same-day shipping if you are in any kind-of hurry. Those are gorgeous pictures Andrea. Orchids are a great idea. My local Trader Joe's sometimes have beautiful orchids for sale at $9.99. They look very elegant and lasts much longer than cut flowers. Happy Valentine's Day! placed using an aroma developing its base or placed as being a pair in a lengthy container.